Using a long standing experience in dynamic professional webs design and implementation, “HR web” is a dynamic site that manages people assignments to departments, taking into account some specific procedures used in Asia, and producing management reports with dynamic graphs. 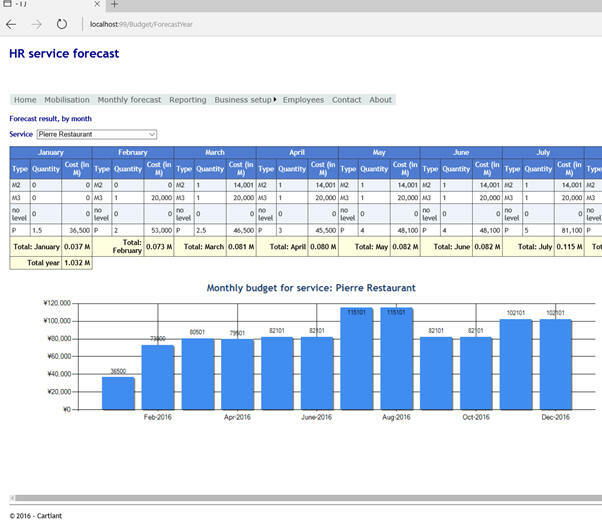 It compares the provisional department budget with the real monthly values. It is proof of concept web site, using as technologies DotNet aspx, Microsoft Sql Server database, Web dynamic graphics, Ajax. The site is on line here. 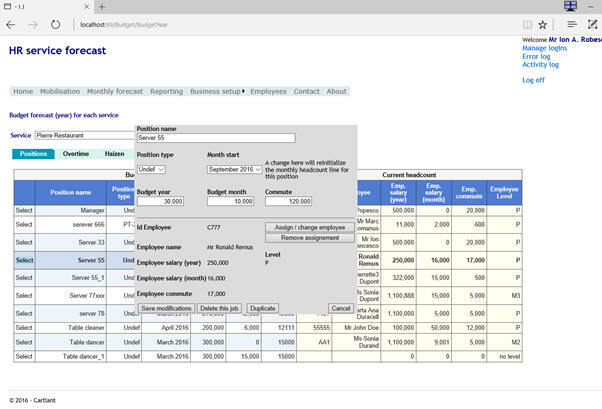 HR Web was developed using Visual Studio 2013, C#, Microsoft Sql Server 2012, Ajax. For more information how to adapt this web site technology to your requirements, please contact Sysoft.